The Workbench 13 piece Bi-metal Hole Saw Set by Toolway is constructed for DIYers and Professionals alike. It will drill through metal, wood and plastics very quickly and efficiently. 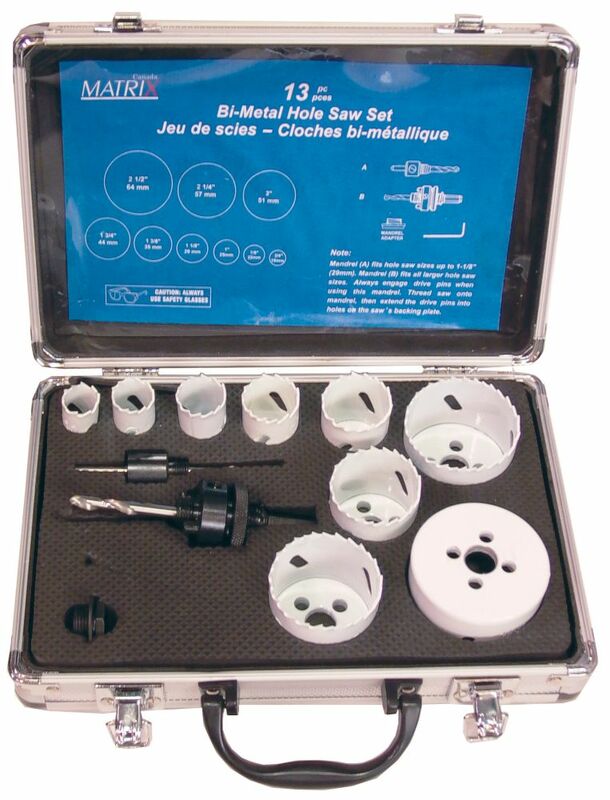 Includes: 3/4", 7/8", 1-1/8", 1-3/8", 1-3/4", 2", 2-1/4", 2-1/2"
Hole Saw Kit Bi Metal 13/pkg The Workbench 13 piece Bi-metal Hole Saw Set by Toolway is constructed for DIYers and Professionals alike. It will drill through metal, wood and plastics very quickly and efficiently.